During the 2009 H1N1 pandemic, pregnant women in Canada were treated with oseltamivir. Researchers from Ottawa recently published the results of a study into infant outcomes post treatments in the American Journal of Obstetrics and Gynecology. The retrospective study investigated more than 55,000 women who gave birth to a single infant between Nov. 2009 and April 2010. About 1,200 infants were born to women treated with oseltamivir for the flu. Researchers noted preterm birth, low 5-minute APGAR scores, very preterm birth and small for gestational age cases. Conclusion: Use of oseltamivir during pregnancy appeared to reduce the number of small for gestational age infants in the cohort, but no other effects were noted. 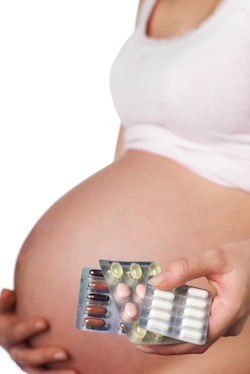 There appears to be no negative side effects to maternal use of oseltamivir during pregnancy; particularly, no connection between preterm birth, very preterm birth or poor fetal growth existed. Source: Xie HY, Yasseen AS 3rd, Xie RH, Fell DB, Sprague AE, Liu N, Smith GN, Walker MC, Wen SW. Infant outcomes among pregnant women who used oseltamivir for treatment of influenza during the H1N1 epidemic. Am J Obstet Gynecol. 2013 Jan 17. pii: S0002-9378(13)00051-3. doi: 10.1016/j.ajog.2013.01.015.